Nirali is a PhD researcher at the India Institute, King's College London. She is an architect and urbanist, with a keen interest in mobility, transport and public life on the move. She is a founder member of The Mumbai Pyaav Project, as part of which she studies socio-cultural practices and governance frameworks around public drinking water availability on the streets. In traditional and ‘common’ usage as well as dictionary reference, beverages are understood as potable fluids other than water. This maintains in sacrosanct the fundamental so also physiological significance of water to the vitality and sustenance of life. In several cultures, for example in India, this is embodied in socio-cultural practices such as the ready offering of a glass of water to visitors and strangers. Material manifestations of this are to be found in numerous public drinking water facilities that range in forms as modest as earthen pots in makeshift shelters to highly elaborate architectural edifices. Water has held spiritual, religious and ritualistic significance in most cultures, and thus public drinking water fountains have been essential features of public space since pre-modern times, found tucked in street corners or placed prominently in large public squares. The nineteenth century saw a wave of public drinking water fountains getting set up across western industrializing societies, as a humanitarian response to the needs of the labouring masses of cities. The creation of these drinking fountains was steered by elite philanthropists, civic activism, temperance movements and municipal obligations. However, public drinking water fountains soon fell into disuse and neglect in large parts of the world by the mid-twentieth century owing to fears of contamination and poor hygiene, more popularly referred to as the advent of the ‘germ theory’ in Western societies. This coincided with the extension of the private supply of municipal water for most households. Industrial designers have since experimented extensively with the mechanics and design of the water fountain. There have been innovations in hydraulic pressure, spout design and filtration technology, all to minimise the contact between microbes, water and human bodies. 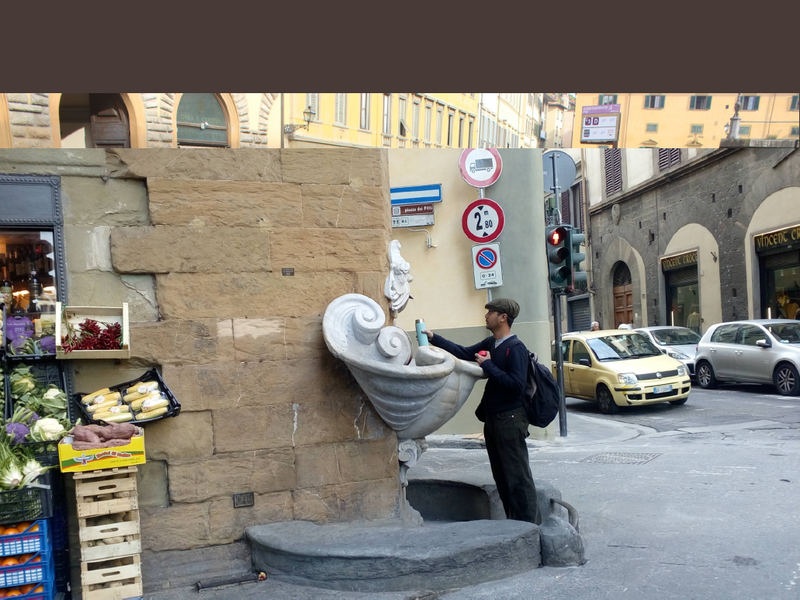 Several artists have also endeavoured to give creative expression to water fountain designs, treating water fountains as installations that vitalise public space. Despite these efforts, it can be said that public drinking water fountains have suffered a significant decline in patronage. Adding to their distress is the individualisation and commoditisation of water brought on by the booming bottled water industry, which has ironically led to water now being referred to as a ‘competing beverage’, thus indicating a significant alteration in its connotation, meaning and value. Bottled water off the racks is often regarded as the only trustable form of potable water now, and in many instances, is the only available form of drinking water. Nevertheless, the appeal of public drinking water fountains is now reviving in the face of environmental, behavioural and health concerns of the beverage-glugging contemporary global citizens. In the USA, a rise in concern towards obesity drives New York City’s ‘Water on the Go’ programme that endorses NYC water for containing zero calories, zero sugar and zero fat. 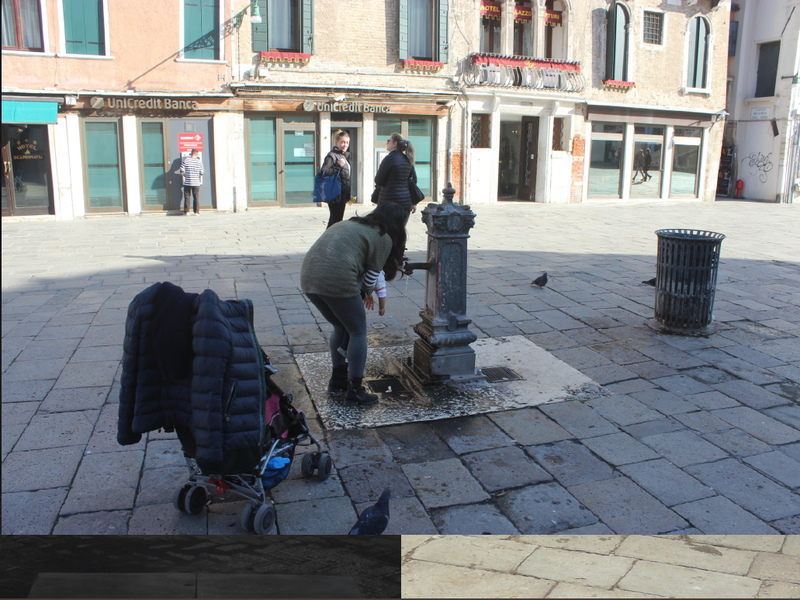 In Venice, proliferation of plastic waste in its canals has prompted the tourism department’s ‘Refill Venice’ campaign, where tourists are handed a map of water fountains along with an empty plastic bottle upon arrival. 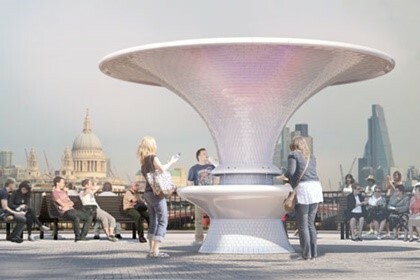 In London, the Architects’ Journal in collaboration with Turkish Ceramics threw open a water kiosk design completion in 2013, with the aim to create public drinking water fountains as emotional, bodily and material investments in civic life of the city. 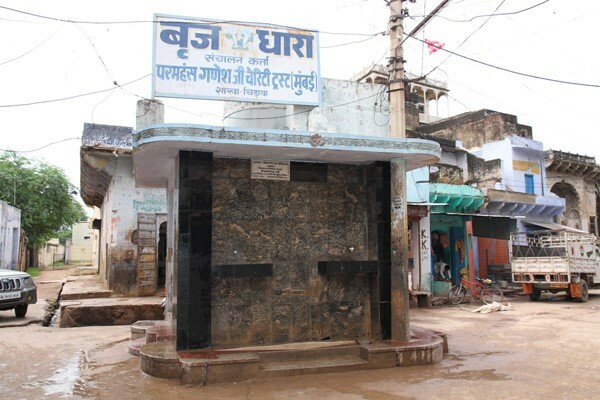 Comparatively, in a country like India, public drinking water facilities have continued to be widely used and remain essential to life on-the-move for several labouring classes. It is still very common for drinking fountains to be set up with the support of elite philanthropists, charitable trusts and religious institutions. While earlier each drinking fountain was an elaborate architectural structure with unique artistic expression, the contemporary fountains tend to take up a more standardized design using polished stone slabs and plain surfaces bereft of ornamentation. Moreover, urban land pressures have meant that the spatial footprint that can be dedicated to drinking fountains remains low. As a result of this, drinking fountain structures have shed their earlier essence of doubling up as resting and gathering spaces. Many drinking fountains suffer from neglect and vandalism, and are seldom used by middle and upper classes for suspicion of contamination. It cannot be emphasised enough that drinking water and its availability on the streets is actually a critical public service in India, considering the climatic conditions and the increasing summer temperatures being witnessed year after year. An extreme condition of this is already seen in the regions of Telangana and Andhra Pradesh in southern India. There, dehydration claims hundreds of lives in deadly summer heat waves and is considered a significant cause for unnatural death. It is common in that region to spot water kiosks of different forms and sizes placed in public places and along movement routes. They are locally referred to as chalivendrams. 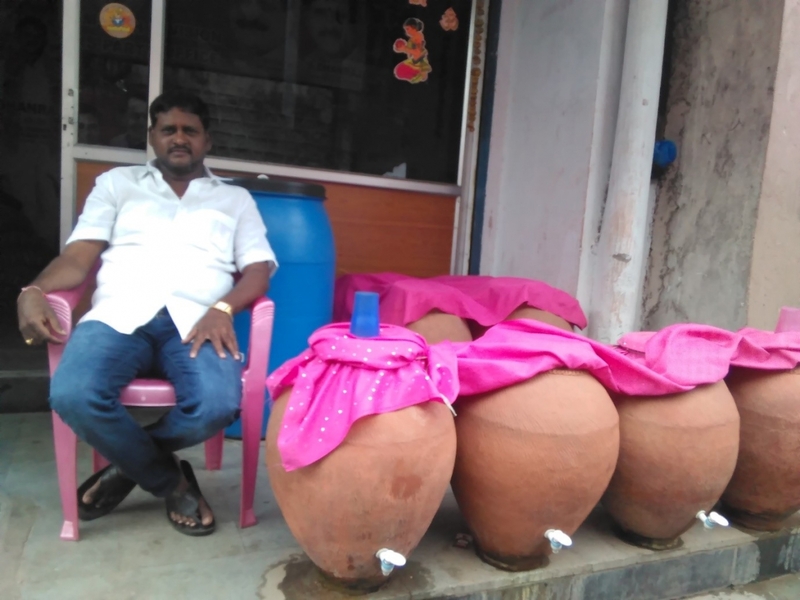 Essentially a practice of serving water stored in earthen pots to passers-by, chalivendrams are traditionally enshrined in rituals and celebrations associated with the festival of Ugadi that heralds the arrival of spring and warm weather and whereby such garnering of goodwill is believed to please one’s forefathers. Chalivendrams now form an important source of public drinking water throughout the summer months and are set up by a range of community members belonging to different classes of society to help people on the move in the city to survive the harsh heat conditions. Contemporary debates on water are often about territorial and user rights to water bodies, volumetric allocation of water at household level, or environmental and sustainability concerns towards present and future water. But as mentioned earlier in the article, the drinking water publicly available on the streets is a very crucial public good for the poorer sections of the society. 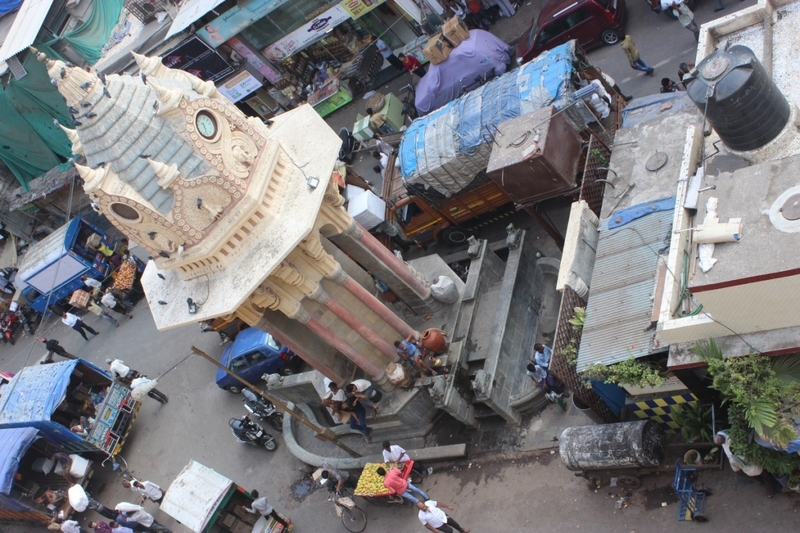 Fortunately, careful observation reveals a range of public drinking water providers dotting the Indian city and its myriad streets—tea-stalls, formal and informal eateries, religious structures, fuel stations and even modest shops that place their water urns at the doorsteps of their entrances. There is both labour and ethics involved in making such water publicly available. The fact that there is a human presence associated with the water, in turn, creates an element of trust in the resources and circulates a sense of goodwill through the social act of water sharing. Not only is this kind of water sharing environmentally and economically relevant, but the sociality associated with drinking water exchange in the streets plays a significant role in humanising the urban environment. In ensuring that public drinking water facilities thrive with care and use, it is important to recognize that human vitality and wellbeing—as qualitative aims of the urban experience—are facilitated and provisioned as much by the socio-spatial environs that nurture human presence, contact and trust.